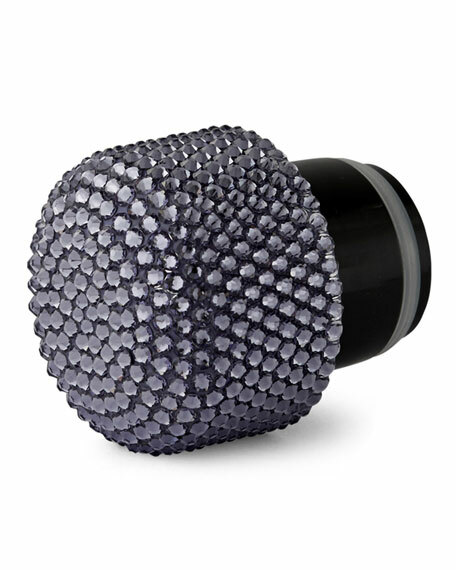 Over 500 Swarovski® crystals are hand-applied to create these eye-catching caps that strike a vivid contrast to the understated satin translucent finish and rich, tonal hues of these bottles. 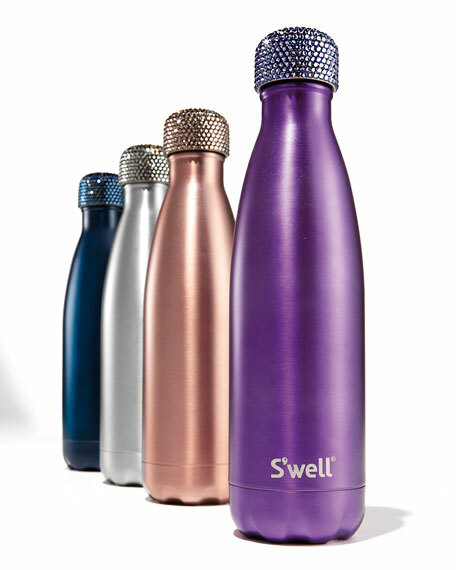 Reusable bottle with Swarovski® crystal cap. 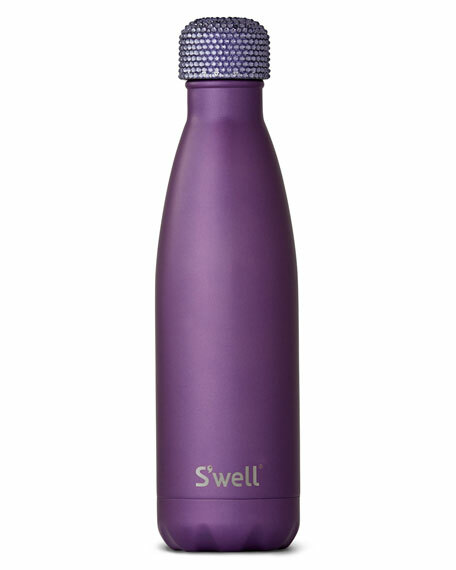 For in-store inquiries, use sku #2287876.